According to a PTI report on Thursday, Kapoor's resignation at SpiceJet was abrupt. Kapoor so far has not commented on his reasons for leaving the previous employer. 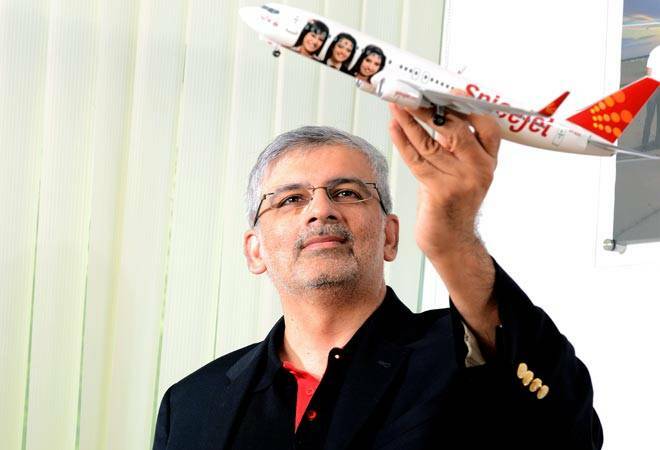 Sanjiv Kapoor, who had quit from the position of Chief Operation Officer at SpiceJet on Thursday, has been appointed by rival Vistara as its Chief Commercial and Strategy Officer, the company said in a statement. Kapoor, 48, will be assuming the role from February 2016 and will be succeeding Giam Ming Toh, who is the current Chief Commercial Officer at Vistara . An alumnus of Wharton School of the University of Pennsylvania, Kapoor has over 19 years of experience in the airline industry. He had joined SpiceJet in November 2013 and was appointed to the post by then owner Kalanithi Maran. Though Kapoor said he is delighted to take the role at Vistara in an official statement by the company, he has so far not commented on his reasons for leaving the previous employer. "The airline has the best possible parentage in the Tata group and Singapore Airlines and with such wonderful genes, the world is its oyster. Indeed, it is already been talked of as the best full service airline in India, a testimony to the people and the leadership of Vistara. I look forward to working with Phee Teik (CEO) and the entire Vistara team," he was quoted in the statement. According to a PTI report on Thursday, Kapoor's resignation at SpiceJet was abrupt and it was a year before the expiry of his employment contract. The report also said that Kapoor is believed to have been sidelined after the new management took over earlier this year following the Marans offloading their entire holding to Singh. Kapoor has been a visible face of the no-frills airline and a strong supporter of flash sales of discounted tickets. He has also worked with Northwest Airlines, Bain and Company, Temasek Holdings (Singapore) and Boston Consulting Group.